Just like its tagline, Asus continues to provide incredible solutions and aims to become the global leader and most admired company in providing digital solutions. This campaign of Search of Incredible was launched in 2011 and it is meant to provide solutions that are beyond marketing and sales, design and development but are made according to user needs to make life better by innovation. Asus has proved that with quality, commitment and innovation it can rule any industry. ASUS is a popular multinational brand which is globally renowned for the graphics cards, motherboards, monitors, personal computers, smartphones, routers, and high-grade technology solutions that it provides. Its global workforce includes more than 5000 professionals in the R&D department that are striving to provide the latest innovation to its consumers. By providing the latest and cutting edge design and innovation, Asus has become the industry leader. In the year 2017, this brand won 4511 international awards because of its brand spirit of “In Search of Incredible”. In the same year, it was ranked 26th in the list of Forbes’ Global amongst 2000 top regarded companies. It is also named as the World’s most admired companies according to Fortune. The story of Asus began in the year 1989 by four computer engineers Ted Hsu, TH Tung, Wayne Hsieh, and MT Liao. They intended to start a new company that would promote the IT industry of Taiwan. It is also known as Huashuo in traditional Chinese language. It means eminence by/of the Chinese. Basically, the word Asus got its origin from the word Pegasus which means a winged horse having importance in Greek mythology. To get a high position alphabetically only the last four alphabets of this name were used. As far as the tagline of the company is concerned, it started out with “Rock Solid. Heart Touching” and then was changed to “Inspiring innovation. Persistent Perfection”. The tagline which is currently in use by this brand is “In search of Incredible.” Asus was started out in a small residential apartment located in Taipei, Taiwan. It provided service of computer consulting and hardware services and computer assembling. By the end of 80’s decade, Asus had manufactured and sold 486 motherboards for processors of Intel. After this success, the company’s focus shifted to hardware construction. In order to grow further, the company went public and became bigger in the year 2005. In the year 2009 motherboards by ASUS were installed in 29.2 percent of all the sale of desktop computers. That year it generated a revenue of 21.2 billion USD. Later the company divided itself into 3 sub-companies in order to streamline its processes. They are Unihan which focuses on non-PC device manufacturing, Pegatron which is into the production of devices OEM and PC components. 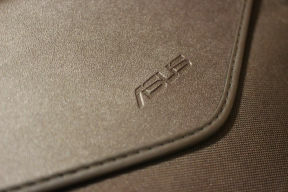 The third is ASUS which focuses on the production of smartphones, computer systems and notebook intact. ASUS has been in the business of computer hardware solutions for several decades and has introduced several innovative products in the market. It includes different types of motherboards that are in the global market introduced by ASUS. If you want to count the types of hardware products that Asus offers then it would include numerous things such as motherboards, notebooks, graphics cards, servers, netbooks, workstations, monitors, networking products, optical storage, multimedia products, computer accessories, and peripherals. With the advent of smartphones, the brand has entered this market too. Asus has entered the mobile device innovation industry and launched remarkable products such as the Asus Eee PC. This is basically a portable computer which is small in size and is super lightweight as compared to a notebook. It is given the name as a netbook. This term has been used earlier by a United States-based mobile device manufacturer. This compact PC was launched in the year 2007. After this many other companies launched similar products. Asus is the innovation behind “Republic of Gamers” which is a motherboard that is specifically designed for game players on the computer. These motherboards are equipped with some of the best features such as SupremeFX soundcard, support for multi-GPU configuration, heat pipe cooling system, and higher overclocking capability. Republic of Gamers motherboard series is the latest Rampage III black edition with Intel X58 chipset that supports the terkencang desktop processors today. The motherboard of Asus also stays on top of the mainstream industry and provides an appropriate platform for modern CPUs which also include the Sandy Bridge processor series from Intel. In addition to this motherboard, one type of hardware component is a specialized graphics card of Asus. In the mid-1990s, the company has also introduced a card series which is based on the graphics chip from ATI 3D Rage. After that, the Asus graphics cards were introduced that were using graphics chips from other manufacturers, named NVIDIA. These card line of Asus are continually present. Other products like networking peripherals, notebooks, optical drive, and smartphones and up to netbooks have also been introduced and developed by Asus. Until now, Asus is continually making a graphics card with ATI chipset AMD and NVIDIA. Some special features such as voltage tweak are allowing modification of the voltage and HSF DirectCU provides better heat transfer abilities than the regular HSF. This has also applied in the ranking of high-end graphics card made by this manufacturer. Asus is also making some special edition graphics card like Ares series and Mars which are equipped with the graphics chip. With the advent of the era of smartphones, many technology-based companies launched smartphones with numerous features in the market. Asus too entered this highly competitive market. Asus has launched many Android-based smartphones predominantly with Intel rather than ARM processors and often with two sim slots. Asus is currently very influential in big mobile markets like China, India and all other Asian countries. Smartphones launched by Asus are known as the ZenFone series. Prior to that, Asus has also released feature phones such as Asus v70 and smartphones which run on Windows platform in the mid-2000s. Beside this, Asus has also produced some of the hybrid devices wherein the smartphones can be docked in the tablet screen which is famously known as Padfone series.